Technology has completely changed our life styles. There was a time when people used to carry heavy note books along with bags and brief case for note taking. That is quite difficult to manage. Moreover you have fear that you may loss the note book. After sometimes use of theses note books were replaced by laptops and PC’s. Still laptops are quite heavy and you can’t carry them all the time during meetings. Whereas PC’s can’t be carry from place to place. In use of laptops and PC’s people were afraid they may lose the important data. This fear is minimized by the evolution of android phones and tablets. They are light in weight and easy to carry from place to place. This article covers best free note taking app for android. They are available on play store and one can easily download them in their android phones making their work easy. Choosing best application is quite difficult as there are number of note applications available. But this article is summarizing 3 best note taking apps for android that will help you to make decision easily. It is the note taking app available on play store. Its numbers of unique features makes it one of the best note taking apps. 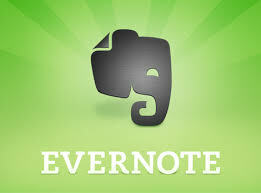 You can use evernote to make and save your notes and to share it with your fellows whenever you want. Ever note has feature to add pictures to your notes and voice recording which enables you remember everything while note taking. It allows you to add sketches and your hand written note to data also. You can save the date and you don’t need to switch it to another advice in case you want to change your phone or etc. It will remain stored in your application. Features list present in ever note is quite long. Download it now to enjoy it features. Another best note taking app for android It is an application from Google and is quite similar to ever. The feature that makes it one of the best application is that it is very simple to use and can be use by anyone. Google keep enables you to write anything or record something which is present at your mind. The voice recording option makes it easy to use. Moreover you can use different colours and graphics to make your notes more presentable by the use to Google keep. Another amazing feature of Google keep is that it is available for different contacts and you can sync your data in between different devices. It will prevent you from the irritation of shifting your data room one device to another. 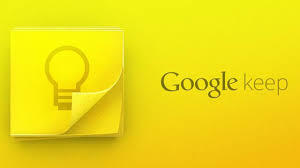 To enjoy different features of Google keep download it now and make you work easier. it is another worth using application for android. It is quite simple and is not loaded with number of features which makes it easy to use. The very cool feature of this application is backup facility. You can online or offline can back up your data. A colour note also has a feature for the protection of your notes. You can use password protection to keep your data safe. Enjoy this simple application by downloading it for free from play store. What is the best note taking app for you from the above list? Let us know in the comments.